Chess was one of the first games played on computer systems. While the game hasn't changed over the years, the way it's played on computers has. The set of chess programs that come with Red Hat Linux lets you play against the computer (in text or graphical modes), has the computer play against itself, or replays stored chess games. 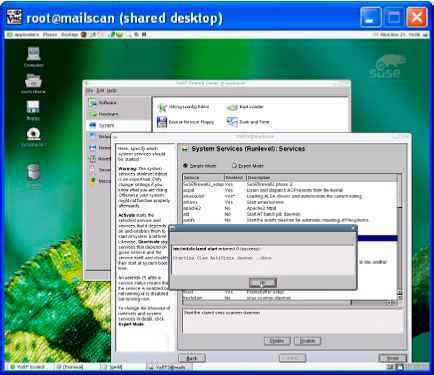 You can even play chess against other users on the Internet using Internet Chess Servers (ICS). The xboard program is an X-based chess game that provides a graphical interface for gnuchess. GNU Chess (represented by the gnuchess package) describes itself as a communal chess program. It has had many contributors, and it seeks to advance a "more open and friendly environment of sharing" among the chess community. With xboard, you can move graphical pieces with your mouse. To play against the computer, click Programs ® Games ® Chess from the GNOME menu, then start by just moving a piece with your mouse. While in the xboard window, select Mode ® Two Machines to have the computer play itself. Select File ® Load Game to load a game in Portable Game Notation (PGN). Figure 7-1 shows the xboard window with a game in progress. Figure 7-1: In the xboard window, you can set xgame to either play against the computer or to replay saved games. 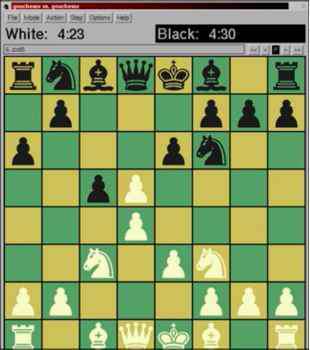 As an alternative to xboard, you can sometimes use Web-based applications to play chess on the Internet. For example, if you were to visit the Chess.net Web site (http://www.chess.net/), you could click the Play link to start. You could then choose the chess software to use. (Chess.net for Java works in Red Hat Linux with Netscape.) After the software downloads, you can sign up for a Chess.net account. After that, the window that appears lets you choose someone to play against or to watch a game in progress. game — A command that takes the output of gnuchess (a chess.lst file) and outputs a PostScript file, board by board. The move and current score are printed with each board. gnuchessn — A command that is similar to gnuchess, but produces a fancier version (using features such as reverse video). gnuchessr — A completely ASCII-based version of chess. gnuchessx — Another ASCII-based chess game that is compatible with xboard. gnuan — A command that is used to analyze a chess game.